I've always suffered with acne, but since going on the pill in my late teens my skin is now a lot clearer. I do still get hormonal breakouts here and there and I also occasionally get really bad single spots that pop up on their own, I think these might be called cysts? These often come up in a huge lump that is so sore and when it does finally go down I'm usually still left with a slight lump and a horrible red or purple scar that I then have to treat with Aloe Vera gel for weeks or months to try and reduce the scaring. Currently the only thing that really works for me for treating bad breakouts or these cyst spots is a prescription treatment from my doctor, but this isn't particularly pleasant stuff and I do have to be really careful with it or it burns my skin. So I'm always on the look out for something much gentler that actually works, so I may only have to resort to my prescription cream in extreme cases. 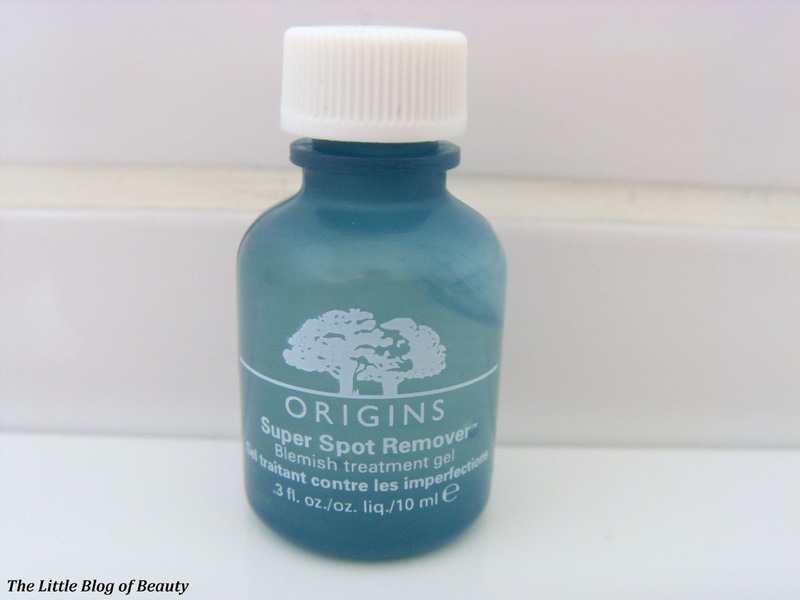 After reading mixed reviews on the Origin Super Spot Remover I decided the good reviews were enough to make me want to give it a try myself. My boyfriend must have read my mind because just the next day I heard my all time favourite thing to hear coming out of his mouth 'What do you currently want from Boots?' After hearing this I'm usually sent into Boots to get what I've currently got my eye on. I knew this was going to be small, but when I first got to the counter I actually thought they didn't have any in stock. That was until I saw a tiny little box kind of sat to one side of the display all on its own and my first thought was 'Is that it?!' I got a similar response from my boyfriend when I showed him what his £14 had just bought, except his response may have been slightly less polite! 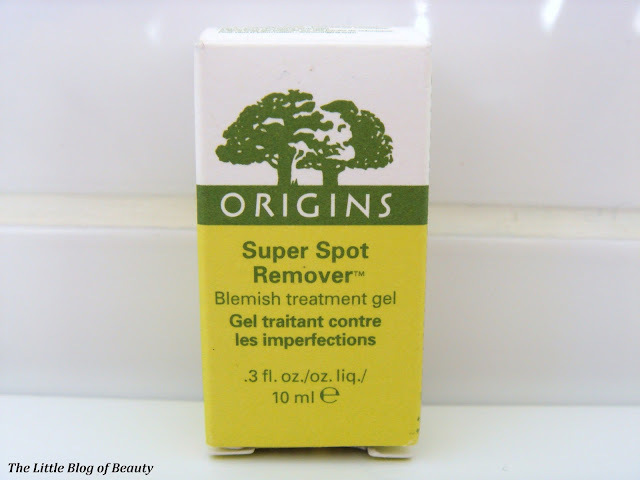 This little fella may be rather small, but obviously as a spot treatment you only need to use a tiny amount and hopefully you'd only need to use it occasionally as well. I think it was The Sunday Girl who found that this was good for helping to reduce the scaring left behind by cyst type spots. This was one of the main selling points for me as my skin scars so easily and because I'm so pale it means scaring is usually really obvious. I've now tried this a couple of times on different spots and I have mixed feelings about it. It's certainly not a miracle worker and your spot won't magically disappear overnight. Although the little pot doesn't look it, it's actually squidgy, so to dispense the product you just have to give it a squeeze to push it towards the little hole at the top. This works fine while it's still pretty much full but I'm not sure how easy this will be when it's nearly empty or even when it gets down to something like half full. I've found the consistency of this varies depending on how warm my room is at the time, so when it's cold it's thicker and when it warms up it becomes thinner. It's obviously easier to get out when this is a little thinner. Some people find that this tingles/stings slightly when applied but I haven't personally really noticed this. 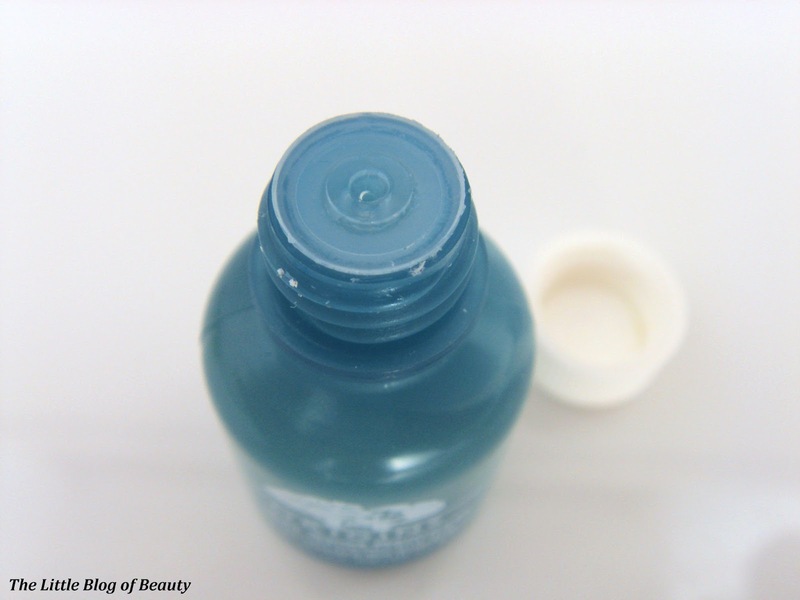 You can apply this under makeup but I've found that it can go a flaky, so it might look like you have a dry patch of skin. Last week I noticed a lump coming up near my shoulder blade so I started applying this at least once a day, sometimes more if I remembered. As I've already mentioned the spot didn't disappear over night but I did notice that this recovered much more quickly than a spot like this would normally take to recover on me. After about three days I was left just the slightest of lumps remaining and although it has left a purple mark behind this is minimal. However, when I've applied this to other spots I don't think it has particularly helped much. It may just be that I'm impatient, as much as I don't like using my harsh medicated cream this does have the power to pretty much eliminate a quite severe breakout within two nights. Would I pay £14 again to repurchase this? To be honest I'm not quite sure. It will probably depend on how long it takes me to get through this one and whether I see a few more successes like I did last week. 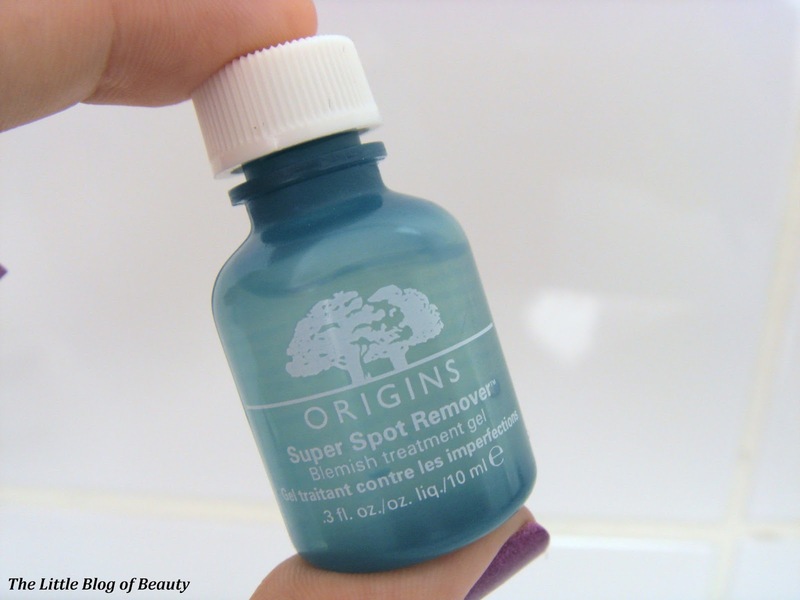 Have you tried the Origins Super Spot Remover and what did you think? I have had my bottle for about 8 months & its still going strong. I pop a little on my spots in the am & them again before bed. It helps keep the redness to a minimum & I think it also helps them getting any bigger too.